First comes love, then comes … prenup? If you’re a millennial, maybe. Prenuptial agreements, commonly known as prenups, are legal documents that outline how engaged couples will divide their assets if they divorce. And, in recent years, more millennials have been requesting them, according to a survey of matrimonial lawyers. That approach accounts for the changing role of women in the work force, too. In 1980, just 13 percent of women who lived with a male partner earned at least half the couple’s income — today, that number has nearly tripled. So while prenups traditionally protected the party with money — which often was the man, and which often led to resentment — millennials usually tackle the agreements as a team. “Most of the millennials we have dealt with really consider it a business deal, so there’s very little emotion attached to it,” said Madeline Marzano-Lesnevich, president of the American Academy of Matrimonial Lawyers. “And that is certainly different” from previous generations. “I think it’s because they both want to protect their independence and what they’ve been working for,” she said. Another factor could be practicality, as more than one-third of millennials grew up with single or divorced parents. “They’ve seen what happened and they lived the life, so they accept there’s a bigger probability of it happening,” Mr. Cannataro said. Erin Lowry, author of “Broke Millennial: Stop Scraping By and Get Your Financial Life Together,” is one such realist. Although both she and her fiancé are Catholic with still-married parents, they plan to sign a prenup before their September wedding. Who are prenups good for? 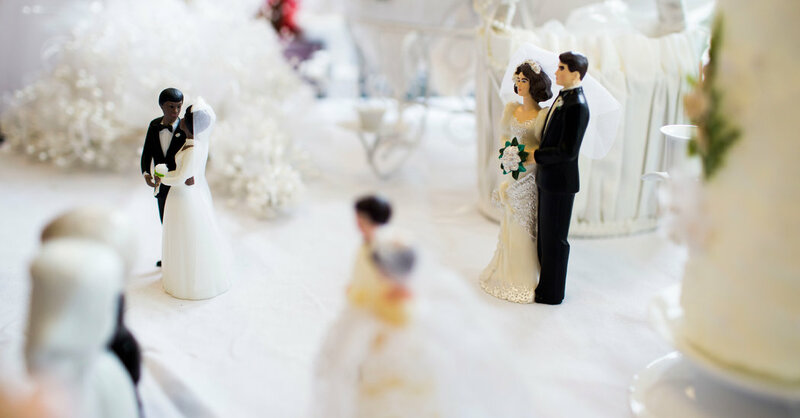 Though it’s easy to think of a prenuptial agreement as a “divorce contract,” many legal and financial experts view it as a smart business move. “It’s such a good idea to go into the marriage understanding that — while it’s first and foremost a romantic relationship — it’s also a financial and legal relationship,” said Charley Moore, founder and chief executive of Rocket Lawyer. Also consider where you live: In the vast majority of states, marital assets are divided equitably — but not necessarily equally — in a divorce. But in community property states like California and Texas, most assets and debts accumulated during a marriage are split down the middle. Though your individual assets — an investment property, a 401(k) — will remain separate after you marry, future contributions and appreciation will usually be considered marital property. Feel that a prenup might be a good fit for you? Here’s how to get started. The key to a successful prenup is timing, and most experts suggest broaching the topic before you even get engaged. Ms. Lowry, for example, initiated the conversation five years into dating and a year before getting engaged. By starting early, you’ll allow time for multiple discussions — and prevent your fiancé from feeling forced or rushed into something he or she doesn’t understand or agree with. If your partner is offended, Ms. Malec recommended likening a prenup to an insurance policy for a catastrophic event. Explain that it is a means of protecting yourselves — and any future children — from the emotional and financial expense of a messy divorce. “Couples are coming into a marriage with as much love as they’ve ever felt for each other,” Ms. Malec said. Those warm feelings, she said, make it easier to determine a fair division of assets — a task that could be more difficult in the future. When you hire a lawyer to complete your prenup, he or she will request all your financials — bank and investment accounts, tax returns, insurance policies, debts — so it’s wise to start compiling that information now. And, though it might seem like a headache, getting a clear picture of your finances is always a good idea — especially before you merge your life with someone else’s. “Whether or not you end up signing, it’s a great exercise to go through,” Ms. Lowry said. “It forces you to have financial conversations you may not have thought to have, or may have avoided.” That may well “set you up for an even more successful marriage,” she said. While the contents of your prenup will vary greatly depending on your situation, the top three topics, according to Mr. Moore, are protection of separate property, alimony and division of property. You could declare, for example, that certain things will remain separate throughout your marriage: a portion of your income, appreciation of an individual property or even accrual of debt. You could also discuss compensation for a spouse who stays home to rear children, which Mr. Moore noted was “often a contentious issue in a divorce.” He said a prenup could include a prenegotiated settlement that accounts for lost time and income and covers training to re-enter the work force. One thing you must omit: issues of custody or support for future children, as those decisions are made in the best interest of the child at the time. You can, however, select who will get the pets. Ready to make it official? You and your betrothed will each need to hire a lawyer. And it won’t be cheap: Depending on the level of complexity and negotiation, legal representation for a prenuptial agreement can cost $2,500 and up — per person. For a less expensive option, you can consider filling out an agreement on a site like Rocket Lawyer, where membership costs $39.99 per month and includes unlimited email questions and one 30-minute lawyer consultation. Though Mr. Moore said Rocket Lawyer’s D.I.Y. prenups “stand the test of time and stand up in court,” he recommended seeking additional legal counsel for complicated situations — and noted that the site’s members could hire participating lawyers at a discounted rate. Other options include Avvo, which charges $195 for a lawyer to review your document, and LegalZoom, which offers a prenuptial package for $995. As long as you work with your fiancé in a team, a prenup can bring you closer together — rather than further apart. At her firm, Ms. Marzano-Lesnevich recalled a recent occasion when a couple (one of whom was a millennial) wanted to sign their prenup at the same time. Each brought a lawyer and a bottle of Champagne — which they uncorked as the ink dried. “You never want it to be a sore point during the marriage itself,” she added. Even if you decide against creating a prenup, you should still celebrate — because the open conversations you’ve had about money will undoubtedly benefit your relationship. Susan Shain is a freelance writer who specializes in travel, food and personal finance. Follow her on Twitter: @susan_shain.